An exceptionally unique ranch only 1.5 hour drive from Houston, TX! 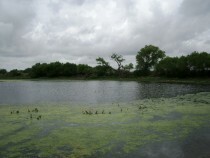 This ranch features 1 mile of Lavaca River frontage, 1 mile of live Chicolete Creek frontage, and a 30 acre horseshoe oxbow lake. Loaded with game and huge timber, this ranch is an outstanding recreational paradise. This 210 acre ranch is located 65 miles Southwest of Downtown Houston, 11 miles Northwest of Wharton, and 14 miles South of Eagle Lake, in Wharton County, Texas. It has 0.4 miles of frontage on FM 102 and 0.2 miles of frontage on CR 257 just north of the town of Egypt, TX.The front gate is 10 miles from the FM 102 and Highway 59 intersection where there is a Buccee’s and Wal-Mart. 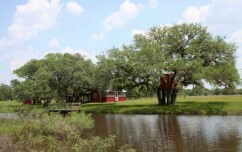 About a 1.5 hour drive from Houston, this beautiful live water ranch is a perfect family get-a-away! A handsome 4 bedroom home with a wrap-around porch overlooks one of the ponds. 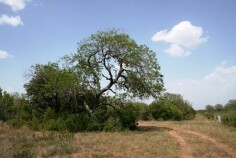 The ranch is covered in huge live oaks and pecans. 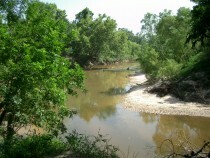 There is approximately .4 miles of clear-flowing Lavaca River frontage. Also, 1/8 of the minerals and 100% of the executive rights convey with the sale. 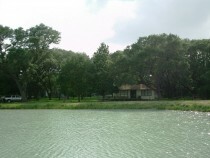 This ranch is located in Jackson County approximately 110 miles from the Sam Houston Tollway in Houston. It is approximately 20 miles NW of Edna and 20 SE of Yoakum. It is accessed by an all-weather gravel road easement off of Hwy 111. The easement is 6 miles long, and you must pass through 2 gates along the way. This convenient little getaway is located two hours from Houston and one hour from Austin. It features a beautiful four-bedroom, three-bath home overlooking a stocked bass pond. 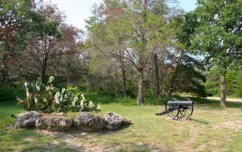 The property is heavily wooded with huge live oak, post oak, and cedar. Paved FM road frontage, 10 miles from I-10. Some minerals available. 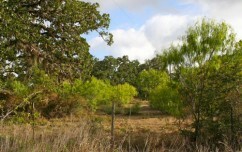 There is an additional 32 acres adjacent to this property that is available for those looking for more acreage. This 550 acre ranch is located less than 100 miles Southwest of Houston, 25 miles North of Edna, and 20 miles South of Hallettsville, in Lavaca County, Texas. 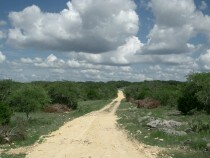 It is located off of CR 14, and is accessed by a1/2 mile long 60-foot fenced, gravel deeded easement road. This is one of the best ranches for sale in a while in Bee and Goliad Counties. There is over a mile of Medio Creek and Blanco Creek going through the property, offering seasonal water flow as well as several lakes located within the creeks. 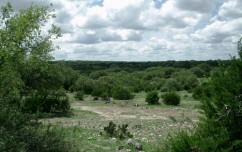 This ranch is a great mix of sandy loam soils with bull mesquites and grand-daddy live oaks, and caliche l hills covered in South Texas brush. 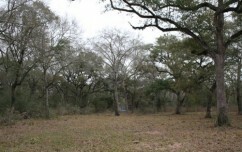 Has excellent access off of paved Deaf Smith Rd, not far off of Hwy 59. Some minerals convey.